You're avoiding the main point, which is that you're not willing to release the image under the license that we use for every other piece of original work here on the wiki. You also seem to be slightly confused about the purpose of fair use for images on the wiki. "Fair use" in this context involves using an image for which some or all of the copyright has not been granted by the original authors. 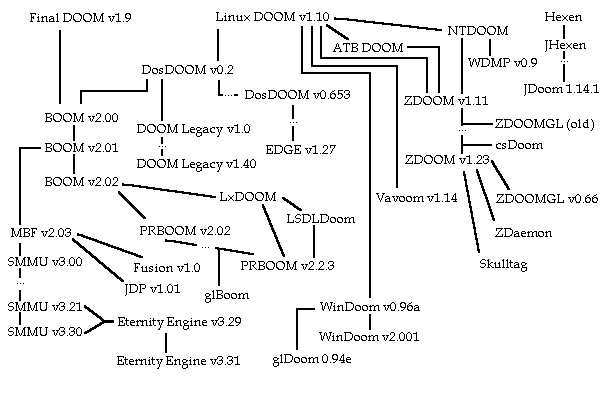 Examples include Doom screenshots; the Doom graphics are owned by Id, so a Doom screenshot has some ambiguity in its legal status. But (American) copyright law allows us to claim that using screenshots is "fair use", as we are simply using them to illustrate articles about the game. It gives some foundation for legally using the images, even though technically they are copyrighted. Crucially, fair use is a compromise. It's not ideal. Ideally, all material on the wiki should be under the GFDL (as all the text should be). Using the fair use provisions of American copyright law is a reasonable compromise to take into account the fact that it's difficult to illustrate a wiki about a game without using screenshots of it. That said, we should strive to have as much of the wiki free as possible. There's no reason for you to be applying extra restrictions to this image except for petty egotistical ones. Furthermore, it's perfectly possible for us to create a free version of your image. There's no pressing demand for us to accept your restrictions. Author refuses to release the image under the normal licensing rules that we apply to content uploaded to the wiki. Doomworld has a similar, albeit older, chart here. I suggest talking with Quasar to get the rights to use and extend that image, as I'm pretty sure he's the author. Firstly, I'm not lobbying against the presentation of any information. I'm arguing against the use of a diagram that you refuse to license under the normal licensing terms that every other contributor to the wiki has accepted without any trouble. I have no idea why you are so protective about this particular image, especially considering it really isn't that important. However, whatever reason it may be is irrelevant; if you do not license it properly, we cannot use it. I mentioned Quasar in reference to this image which can be used as an alternative to yours. Quasar has confirmed (on IRC) that he is the author of it.